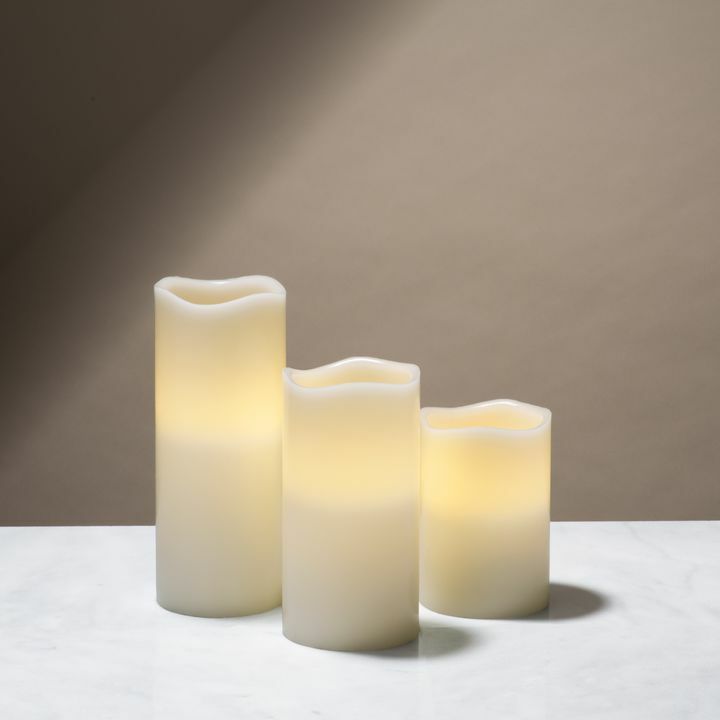 There are only 347 available of the Nina Ivory Melted-Edge Wax Flameless Votive Candles, Set of 8. Your selected quantity has been adjusted. 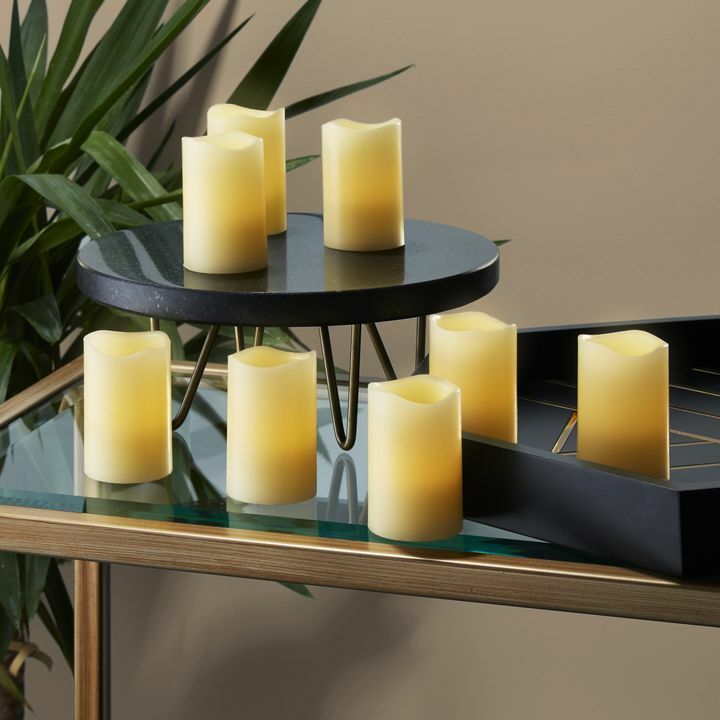 With their wax exteriors, melted-edge effect, and natural faux flicker, this assortment of votives mimics the warm ambiance of real candles without the worry of messy drippings or open flame. 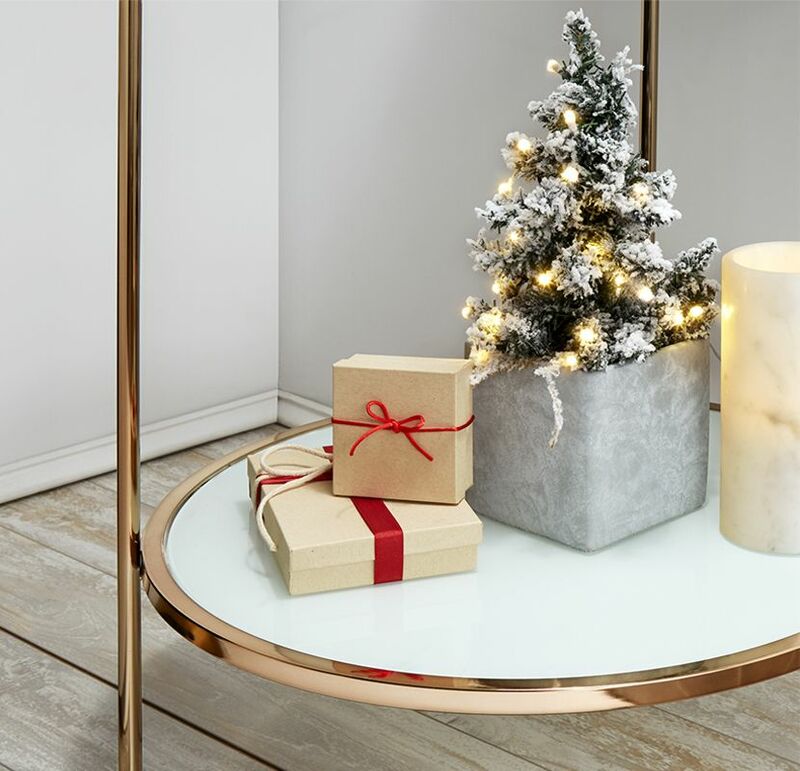 Arrange along a centerpiece, bookshelf or a dining table for a charming glow. Perfect for home, weddings, churches, restaurants, and events. We received a hanging candelabra for a gift to be used outdoors in our gazebo. 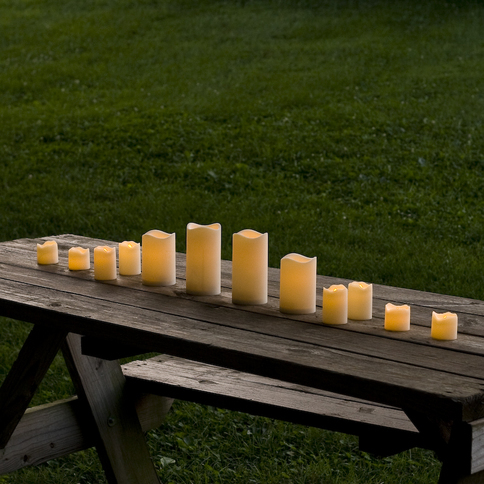 Candles did not work well because of our seemingly constant winds. 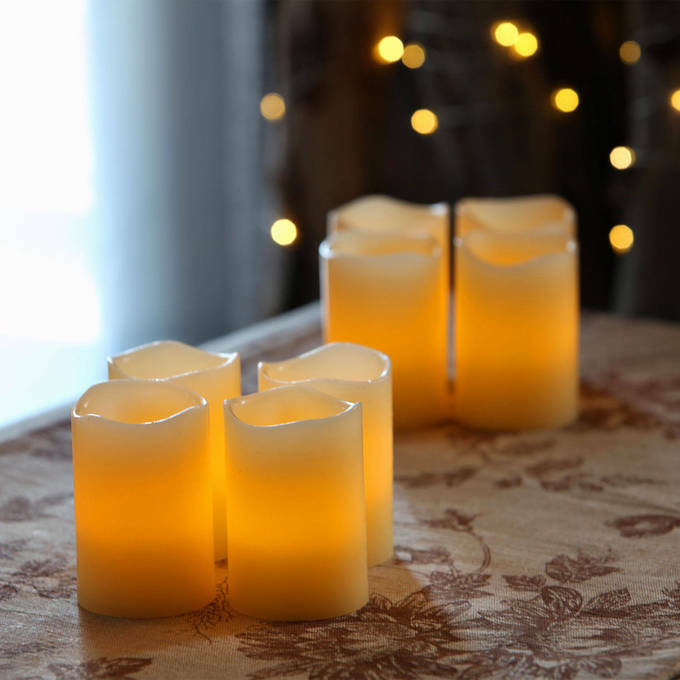 These flameless candles not only solve the wind problem, but fit perfectly into the candelabra's unusual sized glass holders and give off a beautiful glow. 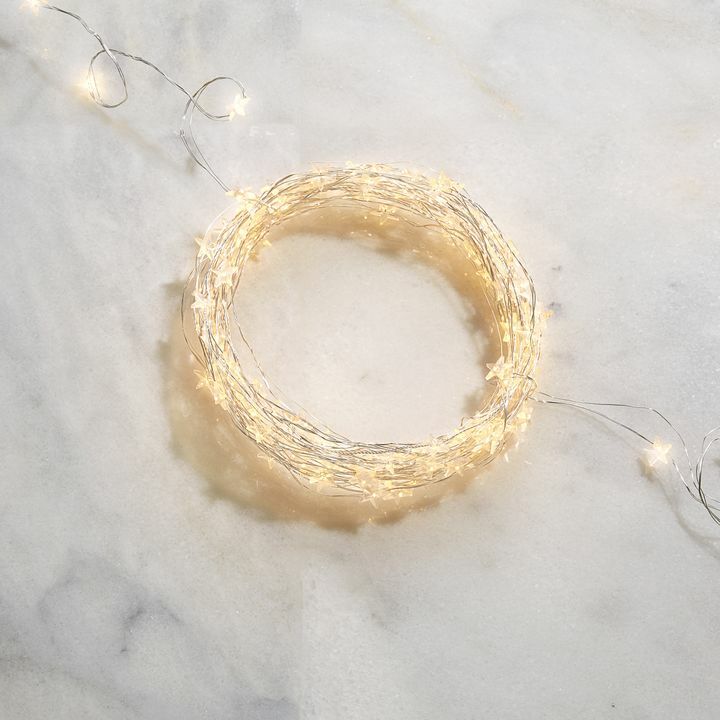 Great quality perfect for my wedding lighting! 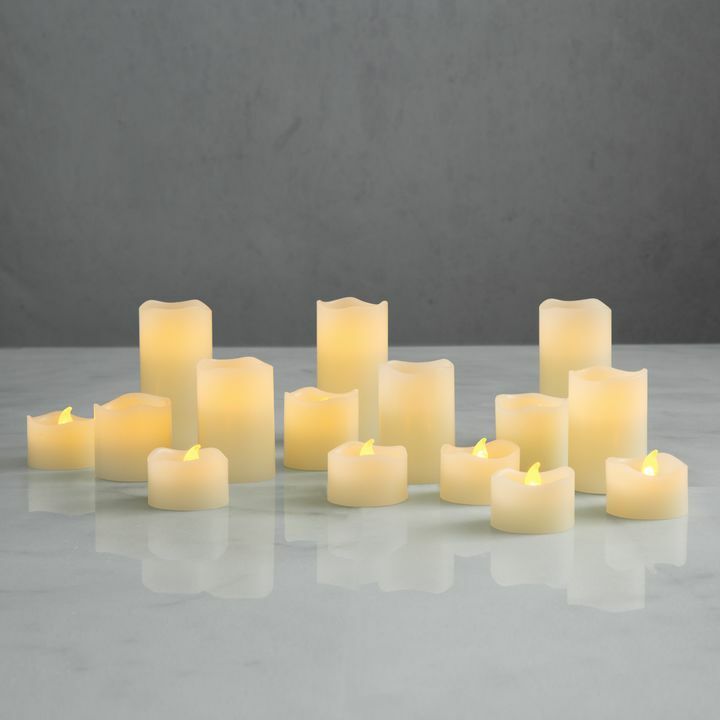 I ordered about 100 of these flameless candles to use as decor at my upcoming wedding. My order arrived promptly, well packaged and was exactly as described on the site. 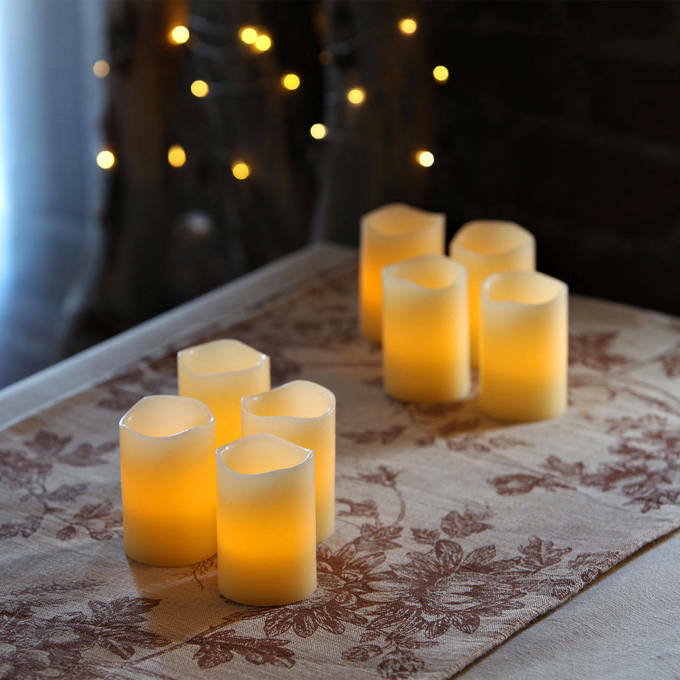 The candles appear to be of a great quality and look beautiful when on. I have shopped all over the internet to try and find a better price, and I really have not been able to. I will definitely order more of these to really add a punch to the decor scheme I'm working on. I'm very happy with my order. These are perfect in every way and a great value! What is the diameter of this candle? 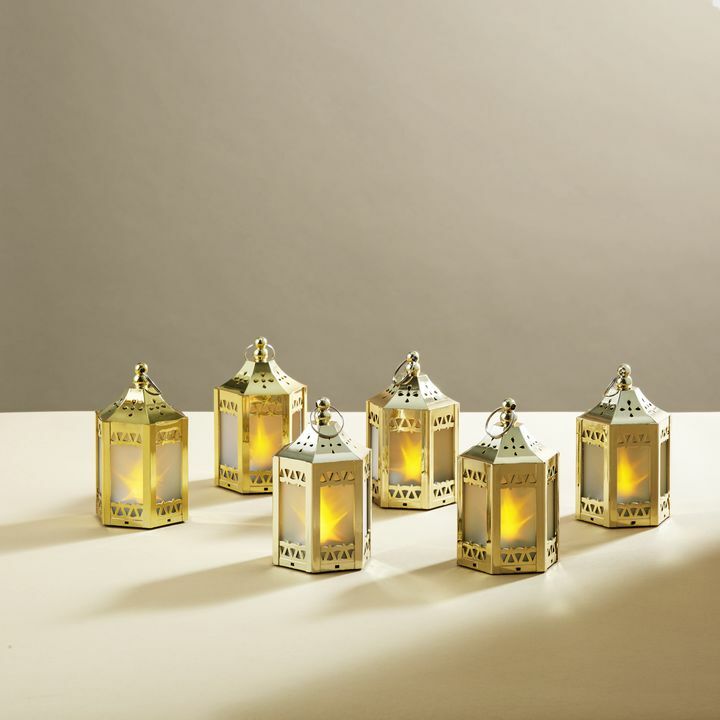 Each candle in this set is 2" in diameter and 3" tall. Are these candles 3\" tall? 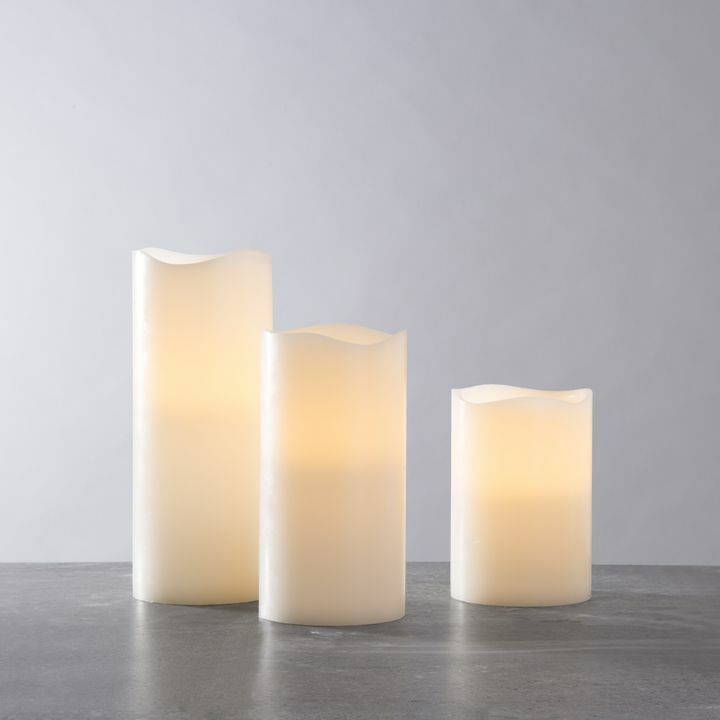 I need flameless candles to set inside glass vases as part of a wedding reception table decorations. 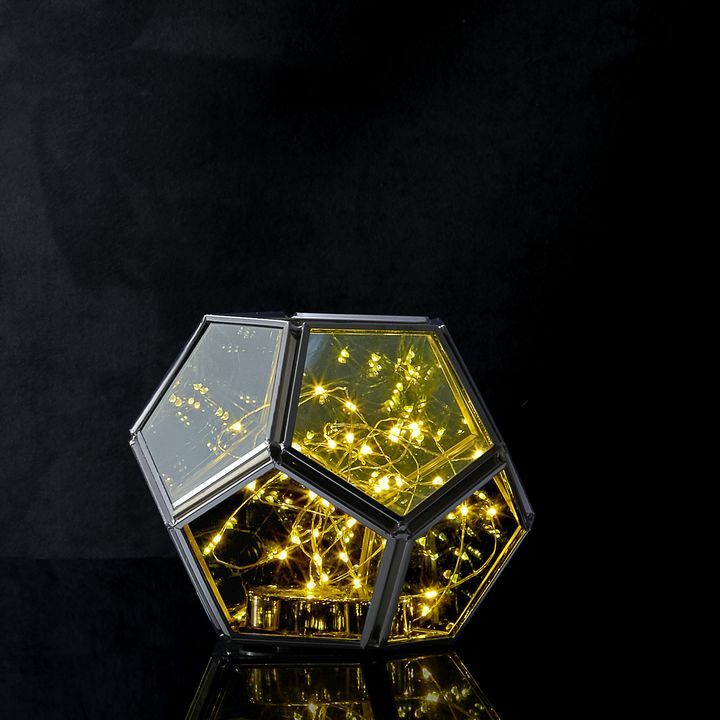 Can these candles be used for that purpose? Most definitely, these would be an excellent choice for that application. 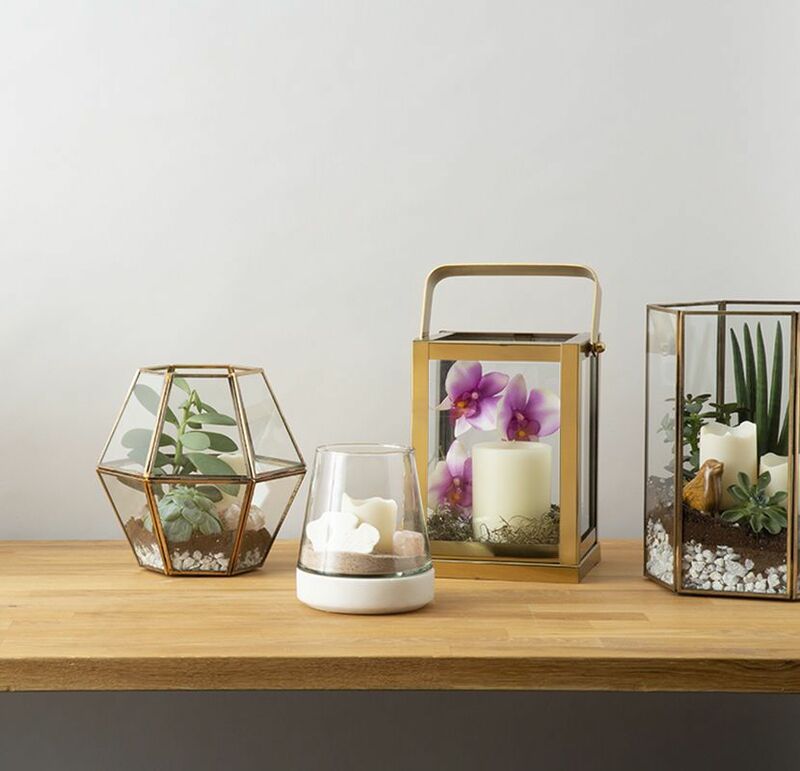 Do candles have a natural looking wick or is it a bulb? 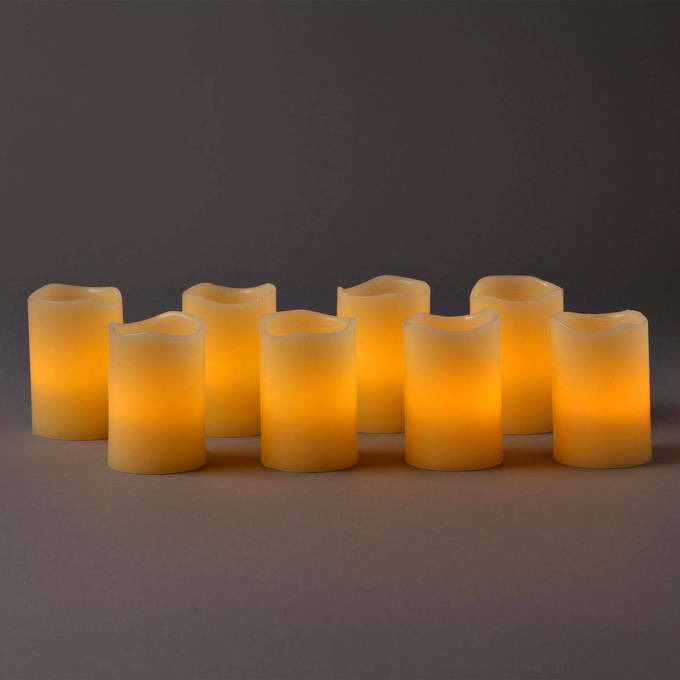 The Flickering Flame Melted Edge Wax Votive Candles do not have realistic looking wicks. They have LED bulbs. 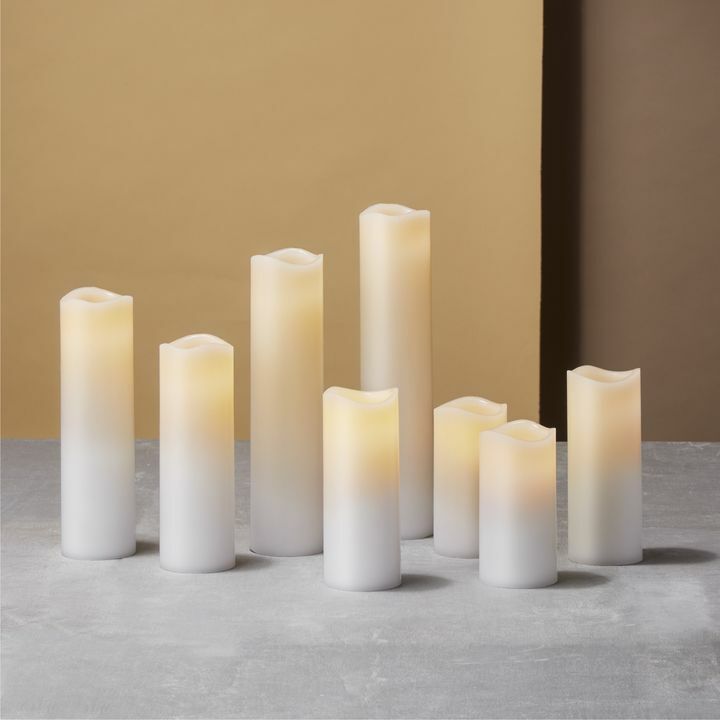 What color are these candles, white or off-white? Thanks. 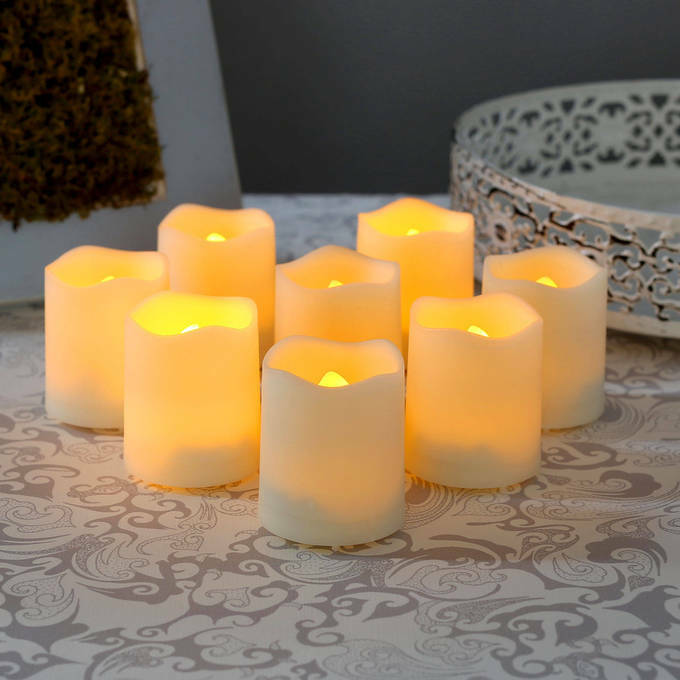 These candles are close to ivory or cream. Do these candles have a flickering flame? What words do I use to find flickering flame candles? All of our candles flicker unless stated otherwise. Ones that don't will have (static) in their description. Do these have a timer? These do not come with a timer. Unfortunately these candles are not remote compatible. If used outdoors in July will wax melt or get sticky? We recommend not using wax candles outdoors. If still planning on using them outdoors, we would recommend a general temperature under 70 degrees. 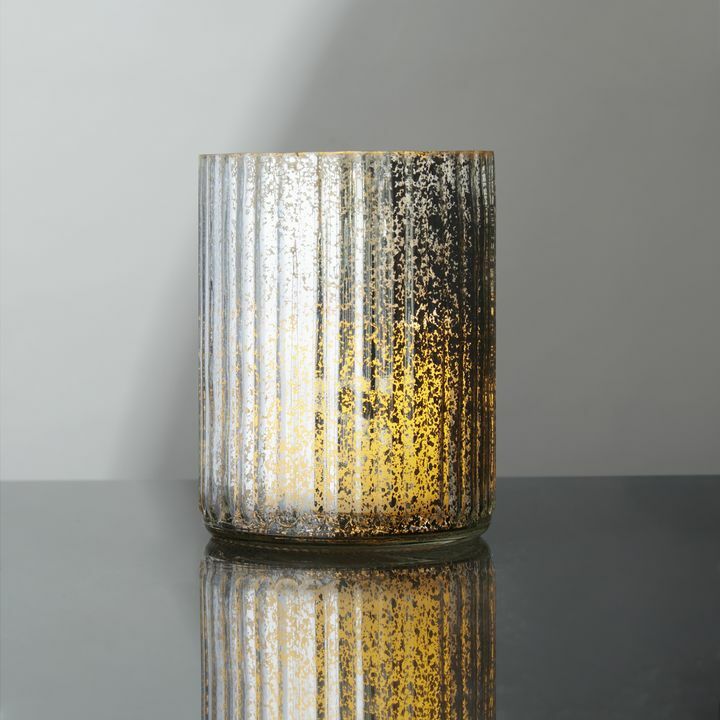 For outdoor use, I would suggest choosing a resin candle from our selection of outdoor candles. How many hours do these run for ? They last approximately 80 hours.